Dean Spanley by Alliance Canada at Chocolate Movie. Hurry! Limited time offer. Offer valid only while supplies last. A funny, intelligent and delighfully adult fairytale set in Edwardian England, Dean Spanley will be unlike anything else that you've seen lately. 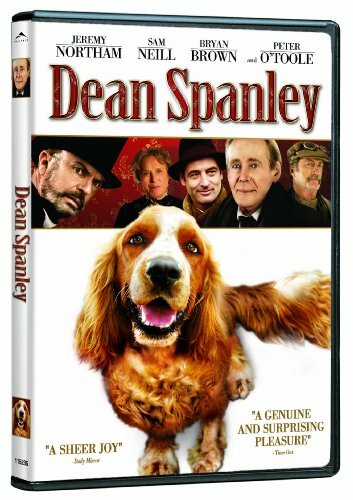 A funny, intelligent and delighfully adult fairytale set in Edwardian England, Dean Spanley will be unlike anything else that you've seen lately. Peter O'Toole delivers a mesmerising performance as a misanthropic curmudgeon who cannot come to terms with his elder son's death, and has little time or affection for his younger son, Jeremy Northam. But when the pair visit an eccentric mystic, they start a strange journey that eventually allow the old man to find his heart. My respect for Toa Fraser has soared. Do not miss this one. Highly Recommended. If you have any questions about this product by Alliance Canada, contact us by completing and submitting the form below. If you are looking for a specif part number, please include it with your message.